The Cosmosphere Foundation, a 501(c)(3) non-profit organization, is dedicated to the lasting legacy of the Cosmosphere by providing and ensuring financial support for the future. 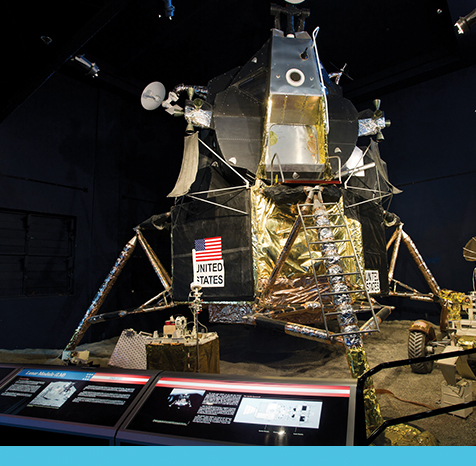 The purpose of the Foundation is to secure funds for the Cosmosphere Endowment, as well as to fund specific programs, exhibits, projects, campaigns and general operating expenses. You can also continue to have a lasting impact on the world, even after your death. Through simple planning, you can provide a gift that will benefit generations to follow. Your contribution secures the future of the Cosmosphere and sustains Patty Carey’s vision for this to be a place where people of all ages will come to innovate, to inspire, to educate and to learn. Talk with your financial advisor or estate planner about how a tax-deductible legacy gift to the Cosmosphere can benefit you and your heirs.